Feel the pulsing rhythms of the salsa, surrender to the sensuality of the tango, and revel the energy of the gauchos with the explosive rhythms of the drums, and the speed and intensity of the boleadoras. Then add musicians and singers for a complete show. 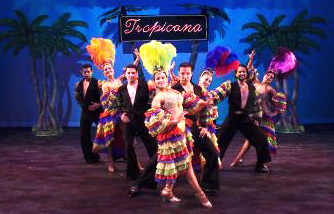 Simple dance numbers to a full two-hour theatre production is available with elaborate props, eye-catching costumes, special effects, variety of dance numbers including audience participation and comedy that will keep your audience on the edge of their seats. Entertain the Latin way. Laugh and sing along to alive choreographed show or include lookalikes for photo opportunities, red carpet settings, meet and greet your guests, etc. Latin Lookalikes can Jennifer Lopez, Shakira, Lucille Ball, Gloria Estefan, Enrique Iglesias, Ricky Martin, Carmen Miranda, Ricky Ricardo, Selena and more. 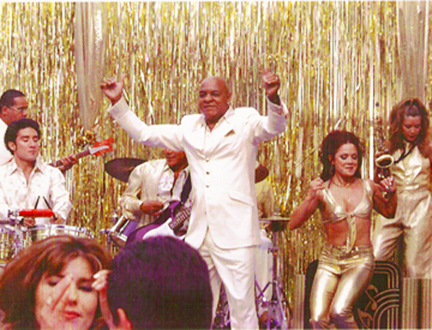 Latin theme parties often require a multi-talented DJ for more than just the music mix. We have DJs who teach professional dance lessons to keep your guests dancing to the Latin beat all night. We have bilingual emcees. Our DJs play the Latin mix, knowing the difference between the many Latin music styles. From Salsa Orchestras to Veracruz Music ... the Latin beat calls to the people and energizes any gathering. Complete your next Latin party with the rhythms that draw your guests to the dance floor and keep them dancing on the way out.